Since April 2017, thousands of Uyghurs have been jailed or detained in re-education camps throughout the Xinjiang region. Accused of “extremist” or “politically incorrect” views, the 120,000 political prisoners are being held in horrible conditions; according to a security chief of the Kashgar prefecture. The sheer number of inmates is resulting in overcrowded cells, making it impossible for them to fully stretch their legs or even lay on their backs. The number of detainees reached such a high number that the local police is being told by camps’ officials to stop bringing more people. Around 120,000 ethnic Uyghurs are currently being held in political re-education camps in Kashgar (in Chinese, Kashi) prefecture of northwest China’s Xinjiang region alone, according to a security official with knowledge of the detention system. Since April 2017, Uyghurs accused of harboring “extremist” and “politically incorrect” views have been jailed or detained in re-education camps throughout Xinjiang, where members of the ethnic group have long complained of pervasive discrimination, religious repression, and cultural suppression under Chinese rule. 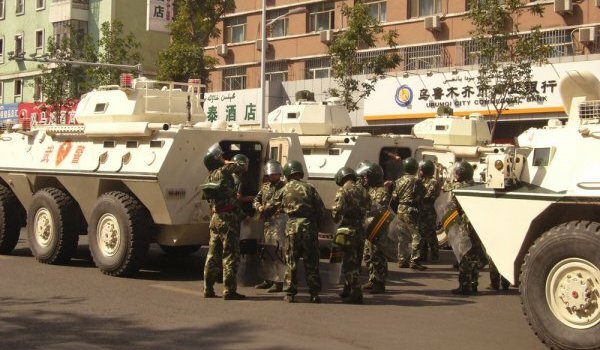 Tens of thousands of people are detained within Kashgar city alone, the Chasa township security officer said, citing statistics from the city’s subdistricts. “Around 2,000 [are detained] from the four neighborhoods of Kashgar city, as well as an additional 30,000 in total from the city’s 16 villages,” he said. Kashgar city is home to four re-education camps, the security chief said, the largest of which was established in the city’s No. 5 Middle School in May 2017. “It’s located in the Shinka neighbourhood and is newly built,” he said. “The plan was initially to build the new school in that area and transfer the current middle school students there. That is why it was named No. 5 Middle School.” Around 80 people are living in the school’s main hall, the security chief said, while 20-25 people sleep in each of its classrooms.